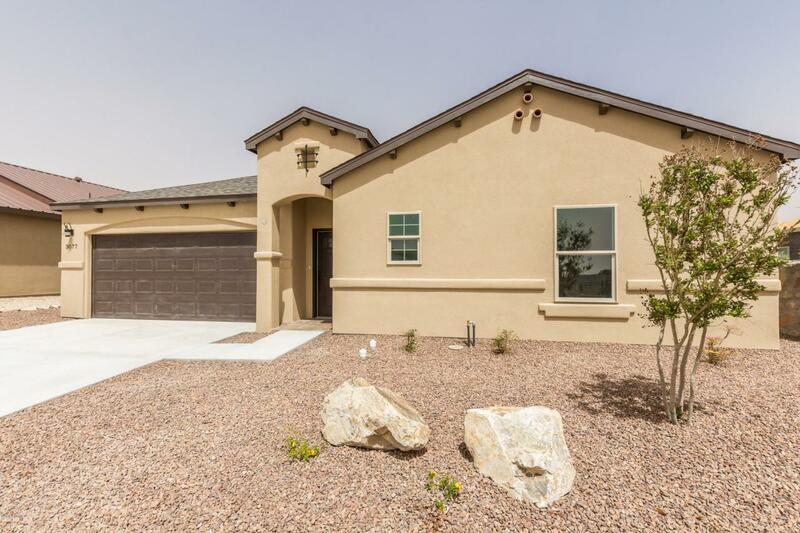 This brand new 3 bedroom, 2 bath 1517 square foot home features an open floor plan with 2x6 construction. Tons of upgrades in this home including and beautiful tile throughout with tile base boards. Upgraded custom cabinets and granite counter tops. Kitchen features beautiful tile back splash. Ceiling fans in the family room and the spacious bedrooms. The home is landscaped front and back and has tile on the patio. The home is plumbed for water softener and the garage has epoxy finish and garage door opener. This is a must see!! !